Error analysis is an important part of the learning process. 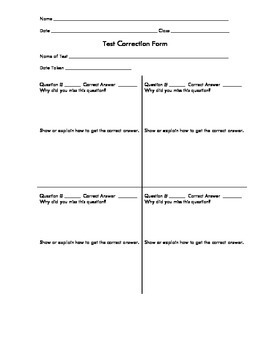 This generic test correction form can be used on any test given. Students would reflect, identify their mistakes, and provide a new answer for each question missed. I have used this in the past as a way to earn back points on their test average.